Below are links to Global ASP stories in multiple languages that have been read aloud by volunteers. Each page of the story will be read out loud as you turn the pages of the slideshow. You can go forward or backward to hear particular pages as many times as you like. If you would like to read one of our translations aloud in your language, please let us know! Make sure to consult our guidelines for readers before recording. 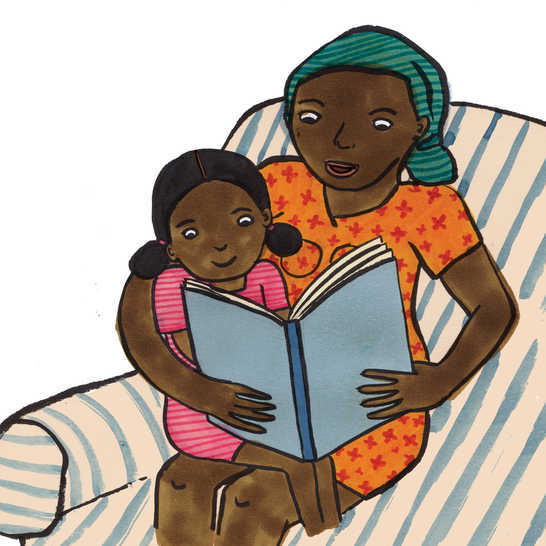 See also our list of stories from the original African Storybook Project read aloud in African languages! You can turn the pages of the storybook by pressing the forward (→) and backward (←) or PageUp and PageDown buttons on your keyboard. If you are on a touch-enabled device you can also swipe the pages forward or backward. Ano isusuot ko sa iskul? Image by Karlien de Villiers (CC-BY), found using the ASP Imagebank Explorer. Tacit theme by Yegor Bugayenko. View or fork this project on GitHub.